If you're looking for a casual but upscale breakfast or brunch egggsperience - try Eggspectation in Downtown Silver Spring. The restaurant theme is "Les Cirques des Oeufs" (Circus of eggs) with related decor and murals creating a fun ambiance. 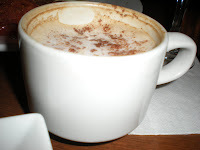 It's also in a great location, with tons of shops and restaurants surrounding - both times I went with Ms. R we never failed to walk over to Borders right after our meal. 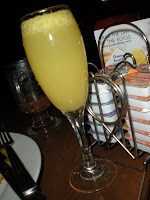 Speaking of Ms. R, this time she started off with a mimosa which was actually quite refreshing. 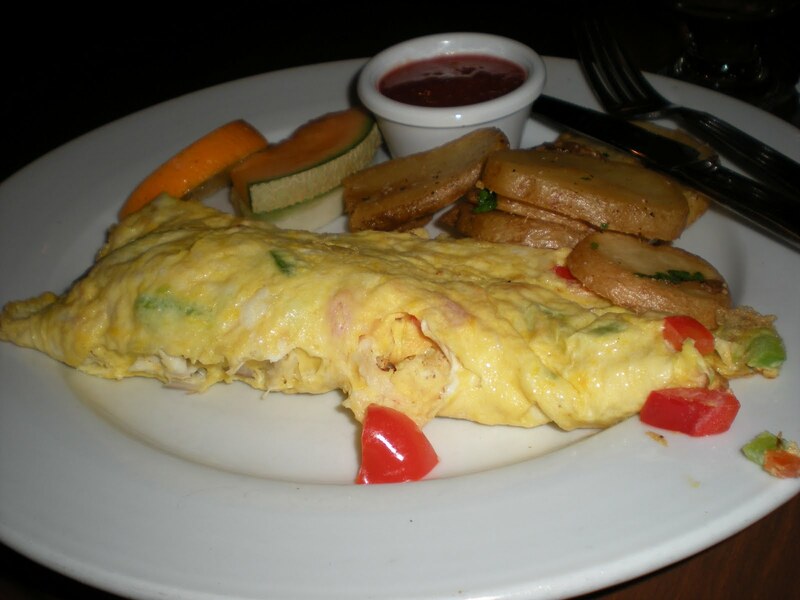 Ms. C decided to have an omelette and chose a good one - the Chesapeake - which includes crab, onions, green peppers, and red peppers. It was tasty, with potatoes and cantaloupe as sides. I'm not sure about the sweet dipping sauce they gave with it - the omelette might have gone better with ketchup! Overall Ms. C enjoyed it alot, along with her mimosa. I'm not a huge omelette fan, but even I thought it was a good mix of flavors. 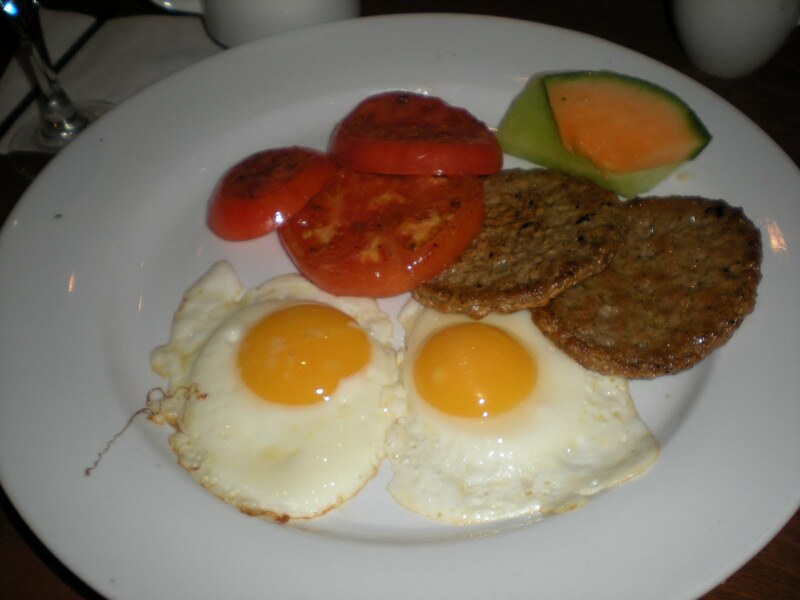 Ms. R went for a classic - 2 eggs sunny side up, turkey sausage, and grilled tomatoes. It was very tasty especially if you're in the mood for basic breakfast foods - but Ms. R did seem to hold on to my dish more (as we did our dish tasting rotations). Lastly, I decided to try something new, the Huevos Rancheros (recommended by Ms. R). Warm soft tortillas, topped with 2 eggs - I had them sunny side up which seems weird but somehow went really well. On top of that came the really good stuff - onions, pulled pork, and peppers, and smothered in Ranchero sauce and cheese. It was DELICIOUS! Very flavorful, and spicy (I asked for hot sauce) adding a texmex edge to breakfast. 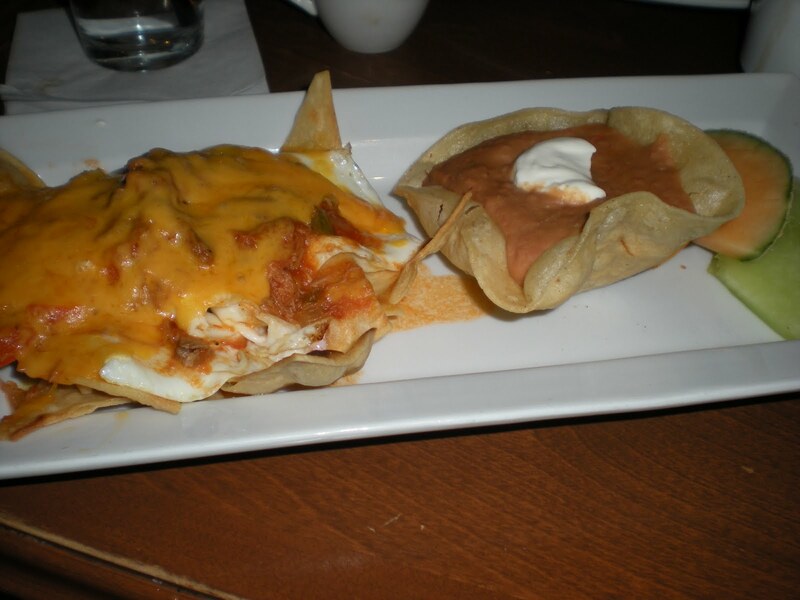 The crunchy tortilla with refried beans and sour cream was a good compliment, this is a must try! OMG, I just moved to the Silver Spring area and I have been DYING to try this place. I hope they have plenty of eggs benedict!